I must confess to a bit of a dodgy source on this one, but Liverpool are reportedly on the verge of recalling Alberto Aquilani from his season-long loan at Juventus, in a bid to replenish their depleted midfield options. 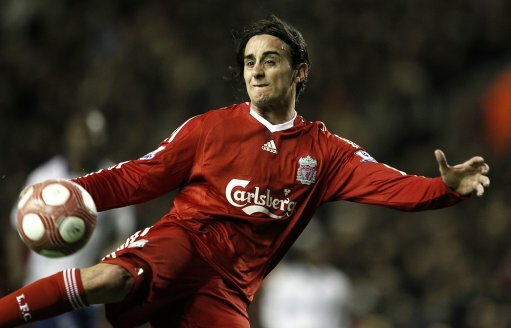 After 14 fairly fruitless months on Merseyside, Aquilani joined Juve at the tail end of August – with a £13.1 million deal in place that gives the Bianconeri first dibs on making the deal permanent. By all accounts, ‘Aquaman’ has flourished since returning to the land of his forefathers over the summer and, with Liverpool losing captain Steven Gerrard to a hamstring injury for the next month or so, it seems that manager Roy Hodgson is ready to hand the Italian an enforced Anfield reprieve come January. Though would he be wise to accept it? bring him back roy or you will be chop! If this is true I thank Hodgson for finally making some sense amidst all the madness. Is it me or does Aquilani look like the 3rd (even uglier than Ed) Milliband brother. Your source must be very dodgy. Season long loan deals cannot be recalled. If the loan tem decide they no longer want the player, they can ask the parent club to take the player back, but the parent club cannot recall them. Arsenal were in the same predicament with Traore when they loaned him to Portsmouth. Also, loan deals can’t be recalled if the parent club have paid a fee, have an option to buy, or are paying the players full wages. Like you say, a dodgy source, but it would count as one of the best things Roy has done since he arrived. Maybe he sees that Aqua can offer us something we don’t have – a creator, like a more mobile Alonso – he passess and moves. The team will work round him. He gets wide players involved (not that Roy likes those) and helps the team keep possession. Makes you wonder why he was shipped out so quick and we got Poulsen and Konchesky. Laughable. It’ll be different when there are 2 different FAs involved. The Traore instance was because it fell under Premier League rules. Don’t think it is. I know a lad who is an agent and he reckons the same rules apply because he has come from a premier league team. If he’s gone from italy to england on loan it would be different, but loans from england go by our FA’s terms. He is utter shite…yes the lad has skill .never good when you play in a kick n run league .. Desperate teams do desparate things. Or desperate teams do disparate things? Get him back. Whenever he played, he oozed class. With only a handful of games, he was the third highest assist provider. Absolutely fantastic player with a poor fitness record. Can’t believe we gave him away to Juventus for nothing and brought in Poulsen for something like 6 or 7 million, utterly ridiculous transfer dealings. Anyone saying the lad is soft or any other tripe obviously didn’t see him play last season. He has been outstanding for Juventus this season. The 9 games he has played Juve won 5 and drew 4. They are building their midfield around him and Liverpool will never see him again. hand him a reprieve? for what???? being our most influential and exciting player last season and being loaned out because Roy doesn’t like techniqual players? Our best techniqual passer of the ball, absolute shambles of a decision to loan him out… Alonso started the decline, Roy just put the nail in the coffin.